The Carmel Pub Stool is part of a larger Carmel selection of bar room and game room furniture by Presidential Billiards. The Carmel furniture is made of solid oak wood that is finished in a rustic grey. The finish is hand rubbed for an original, one-of-a-kind result that lasts for the lifetime of the furniture. The furniture is also built by hand for longevity. The Carmel Pub Stool stands at a traditional pub height so that you can match the stool to your favorite home pub table. If you prefer to pair it with the matching piece, you may match it with the Carmel Pub Table by Presidential Billiards. 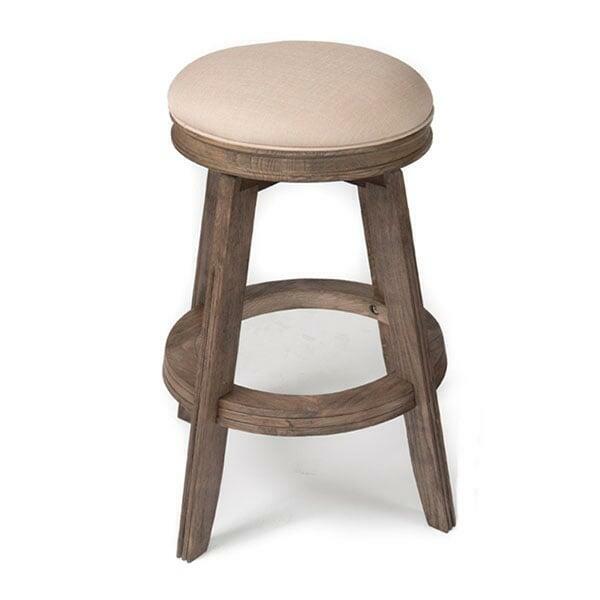 Whether you are building an entire bar room or game room with the Carmel aesthetic or you’re hoping to add to your rustic room, consider the Carmel Pub Stool.